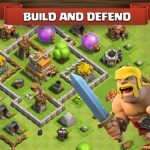 Before you go ahead and start playing Clash of Clans, there are several things you may need to know more about. Now, before we get to the meat of the matter, let’s give you a quick backgrounder on the game, just in case you’re joining us for the first time. 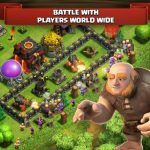 Supercell’s blockbuster mobile title is available for both Android and iOS devices, and it is, in concept, a city-building strategy game that allows you to train mighty warriors and build an unstoppable base. The main thing about this game is that it’s a massively multiplayer online title for mobile devices, thus giving it an immersive quality unlike other mobile titles. 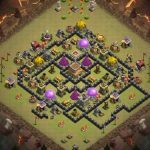 With all that said, we’ll cut to the chase and provide you some useful Clash of Clans tips and strategies, as we discuss defensive buildings and weapons in this article. Archer Towers are quite basic, but you can level them up to Level 13. They work against ground and air troops and can attack from a good range, with a high percentage of accuracy. Set them up outside your village and near other defensive structures such as cannons and mortars. Cannons max out once they reach Level 12, and are the first weapons you can build to bolster your defense. They’re quite affordable and aren’t too difficult to upgrade, and when it comes to using them, they work best against ground units. Place as many cannons around your base as possible, preferably around your Wizard Tower and other more powerful weapons/structures. The Hidden Tesla can be leveled up to Level 8, and as the name suggests, they’re hidden from your foes until they are really close to them, or when it reaches 51 percent strength. 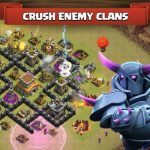 You can unlock the Hidden Tesla and place it within your walls once your Town Hall is at Level 7, and use these buildings against ground and air units alike, with double damage dealt out to P.E.K.K.A.’s. Clash of Clans’ version of the crossbow is simply called X-Bow, and you can upgrade these units up to Level 4. It is actually more akin to a turret, and can shoot ground units at long range, or any other type of unit at a reduced range.